How on earth do you choose a bike tool? After all, there are many options to choose from on the market, and most seem similar to one another (because really, what product differentiation can you have with bike tools). Weight – I don’t want a super heavy tool to carry around. Compactness – I want something that will fit in my jersey pocket or saddle bag and not take up a lot of room. Quality – I want something that will last. Range of tools – I want something that will cover 80% of my requirements. When you’re travelling, you want to minimise your weight and the range of miscellaneous debris you need to fit in your bike bag. Tools can add a lot of weight, so anything you can do to lighten the load is useful. You’ll usually need one multi tool and a pedal wrench – for the EVOC bike bag (EVOC travel bike bag review here), bike pods and probably the Scicon (Scicon Aero Comfort Plus Review here). It’s therefore important that you get a multi tool with as many tools that you’re likely to need. This is where the Crank Bros Multi Mini 17 come in. This baby has a shocking array of tools, probably covering most scenarios a travelling cyclist is going to encounter on the road (and at home). Whilst you’re not going to be able to get yourself out of as mini sticky situations as MacGyver, it is going to help you out nonetheless. 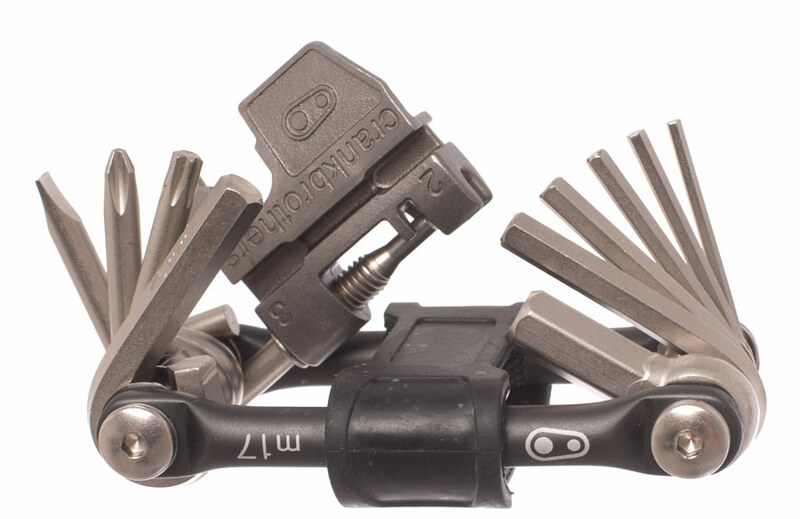 What I like about this tool is that it has just about everything the travelling cyclist will need in one compact package including chain break tool and spoke wrenches. It’s also a very compact and flat package. Whether you have this in your saddle bag or jersey pocket, it has a pretty low profile. There are a couple of little design features that help make this a standout product and neat package. The spindles that the tools rotate on can be tightened – this would help prevent the whole package loosening over time. The tools do not just flip out – I have seen mini tools where the tools just flip out which is very annoying. 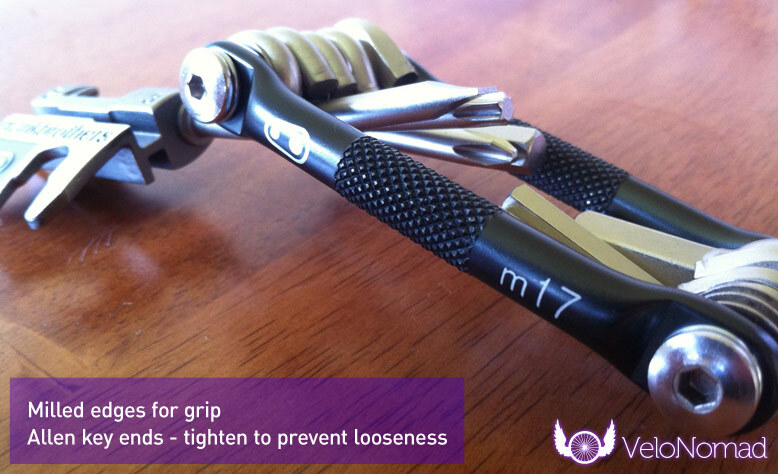 The M17 is equipped with a big rubber band that helps keep it together when not in use. The aluminium sidebars have milled sides to help aid grip when in use – a nice touch. Click here to get the Crank Bros Multi Mini 17 from Chain Reaction. Disclaimer: if you click on any of the product links in this review I will receive a small commission from Chain Reaction Cycles – these small commissions help keep the site going! This tool was provided to me free of charge to review. Need a manual for how to use chain chain tool/spoke wrench. Bought tool at local bike shop and I’m a little unsure how to use the tool properly. Tool did not come with instructions. Searched many sites and was only able to find reviews, like yours, of tools usefulness. Like yours many seemed very pleased with tool when able to use it properly. You basically need to just wind it really hard! Would love for you to provide a review of it too? Just drop your review into the comments! up for the good info you might have right here on this post. 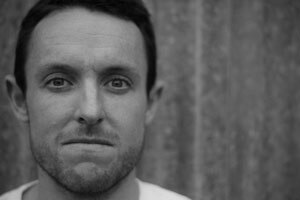 Tim, Excellent site with a broad array of information. You’d die if you saw the way I drink coffee ! Previous Post: What Bike for Etape?